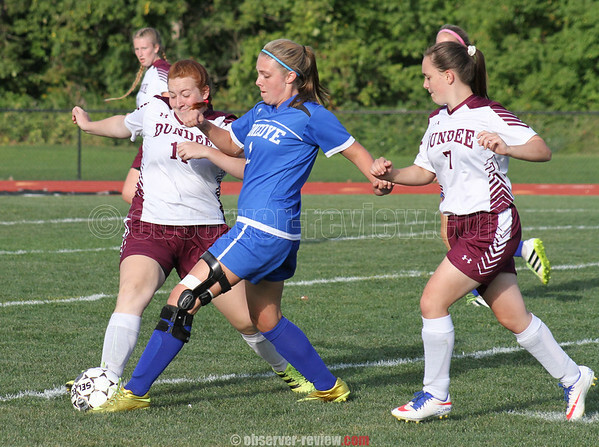 DUNDEE-The Dundee girls varsity soccer team was blanked by Honeoye, Wednesday, Sept. 28. The final score was 7-0. At halftime, Honeoye led 4-0. Lady Scots goalie Andi Wood had 22 saves.